Mark Davis, Chair of the Dons Trust Board, runs through the topics that will be discussed at the first Dons Trust meeting of the year. I will shortly be writing to members to invite them to a Special General Meeting to be held on 17 April. These meetings are at the heart of the Dons Trust Board’s accountability to the membership. Members get to approve (or not) some important decisions and have a chance to quiz the DTB on the progress we are making with our priorities. Despite their importance, our SGMs aren’t always very well attended. Whilst it’s a long time since the attendance was so low that we had to worry about reaching a quorum, we would like more people to come along. And we’d like to see some new faces at these meetings too, so that we can be sure we’re listening to the views of a representative sample of the membership. We are, however, very grateful to those stalwarts who regularly attend our SGMs. The first two topics on the agenda next month will be resolutions submitted by Dons Trust members. It’s a while since there has been a members’ resolution, but submitting one for consideration by the membership is a valid way of getting subjects onto the Trust’s agenda. Any members’ resolution needs to be approved by two-thirds of the people voting, and if passed, the DTB is obliged to comply with it. The first resolution this time is calling for four Meet the Manager meetings per year, one of which should be online. The DTB is interested to hear members’ views on this. Four meetings seems quite a lot to me, but maybe members will feel differently. The second resolution refers to a recent initiative by a group of volunteers to set up a new body to run a museum in the new stadium and to curate a collection of Wimbledon heritage items. 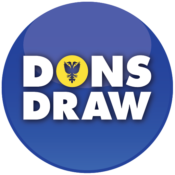 We have received a resolution from some members who are concerned by these proposals and believe that, unless our membership agrees otherwise, these activities should be run by the Dons Trust or the AFC Wimbledon Foundation. Unless any further members’ resolutions have reached us before the deadline, the next item of business will relate to a slightly updated badge for the club that members will vote on ahead of the meeting. You may remember that, when we changed the Trust’s crest at the April 2018 SGM, we said that there may need to be some minor changes to tidy up a few features of the club’s badge. We undertook to seek members’ approval for those changes. We will also take the opportunity to update members on progress with the new stadium. We know that fans are keen to be consulted on options for the stadium design and that there is some frustration that this has not yet got under way. It is vital that we get to the point where we have a realistic set of priced options that we can consult upon, and we would ask you to bear with us as we continue to negotiate with the contractor. It is possible that we will be able to hold a separate open meeting on the stadium over the coming weeks, but regardless of that we will give you an update at the SGM on where things stand. Before opening the floor to questions, we will update you on the DTB’s priorities for 2019 and who is responsible for what. Whilst some of our priorities are still at the planning stage, an early piece of progress is that Luke Mackenzie has now conducted a survey of our members about a potential tie-up with a betting company called FansBet. Nearly 1,600 members participated in the survey, which is very pleasing. Two-thirds of respondents supported the proposal in principle, with one-third against. Although the survey took the form of a simple yes/no question, some members took the opportunity to bring various considerations to our attention, and we have passed these on for the club to consider while it further explores a link-up with FansBet. Moving away from the SGM, today is Ladies & Girls Day at the club. The Dons Trust contributes £25,000 per year towards the Ladies first team. We’ve seen the whole Ladies & Girls Section make real progress over recent seasons. 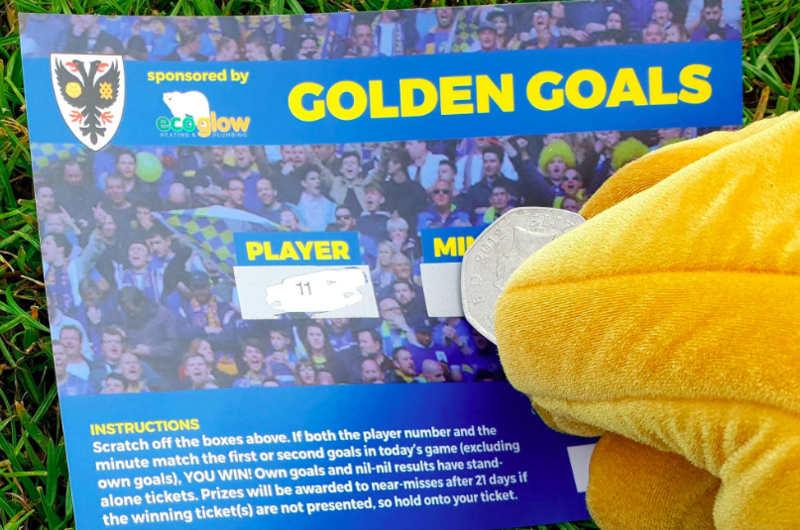 Please contribute to their bucket collection today and give the Ladies and Girls teams a rousing reception when they appear on the pitch at half-time. This article originally appeared in the matchday programme for the game against Gillingham (played March 23). This entry was posted in General Meetings, News and tagged ladies & girls, programme page, sgm. Bookmark the permalink.